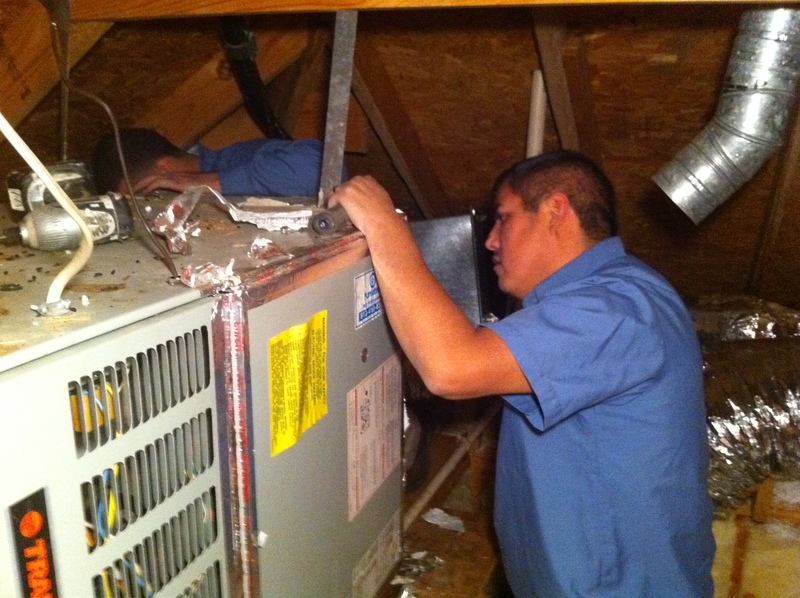 How do you find a reliable furnace repair contractor in Dallas, TX? Well, there’s a number of things you should do. The first is to learn about their reputation from as many 3rd party resources as possible. With Efficient Home Solutions, we have an “A” rating with the BBB. Reviewers at Customer Lobby gave us a perfect 5-star rating – and that’s after 115 reviews (and counting). 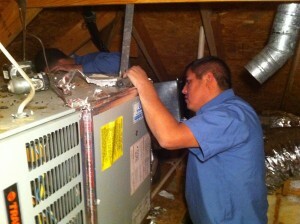 Finally, Google “EHS HVAC Dallas” and read the glowing reviews there. Second, you want someone with a no-pressure, customer-first service process. It’s rare to find this type of service with any contractor. At EHS, we never pressure you to make a certain decision. You get all the information necessary so you can make the best decision for your goals and budget. You may need a simple furnace repair, but then again it may make sense for you to have a new furnace too. Also, our owner loves to be involved in as many customer interactions as possible. And if you do install a new furnace, you get follow-up calls, training (if needed), and a quality control check to make sure everything was installed to achieve efficient and reliable performance. After reputation and service, you want a furnace repair contractor that really understands the problem. For example, say you notice your home isn’t as warm as it should be. That might indicate a problem with your furnace that needs repair (you might call this a “heater repair” or “heat pump repair” in your own words). But, it could also mean you don’t have enough insulation in your attic. Or you might have the wrong size of furnace heating your home. Many contractors don’t take problems like these into consideration, which guarantees you’ll continue to have furnace problems. But Efficient Home Solutions does – and you get a list of options to help you decide which fix to make. 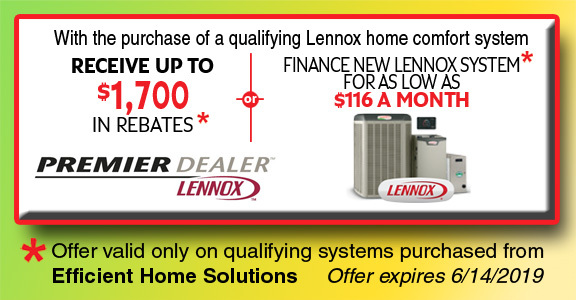 Efficient Home Solutions Waives The Diagnostic Fee If You Let Us Do Your Repair! Brr! Do you really want your home to be chilly and uncomfortable? Do you want to sit under piles of blankets, afraid to climb out into the cold air in your home? Efficient Home Solutions finds the right fix for you the first time so you don’t have to worry about more future repairs. You get same-day, 24/7 service so you’re not stuck waiting any longer than necessary. Each technician has at least 5 years of experience, so you know you get a good (and accurate) furnace repair every time. To get warm and comfortable again today, contact Efficient Home Solutions online, call 972.235.2600, or schedule your service using the form to the right. Remember, you do pay a diagnostic fee for all repairs – unless you hire us to do the work. It’s our special gift just for you! And make sure you always visit our special offers page so you know about all the latest deals. Also see Efficient Home Solutions’ Energy-Savings Maintenance Agreement. That’s always a tough question! You should definitely replace your furnace if it’s 15 years old or older. And generally, if you calculate your replacement costs and find your repairs will cost more than 1/3 of replacing, you’re better off replacing. If the problem presents an immediate safety hazard, liked a cracked heat exchanger which could leak poisonous carbon monoxide, replacing is the obvious choice. Is my furnace under warranty? Find the label on the outside of your furnace and see if it has the manufacture date. Generally, if equipment is less than 5 years old, it’s under warranty. But that’s not a guarantee! Hopefully you saved all the information you got from the installing contractor. Call your manufacturer to make sure your furnace is under warranty. 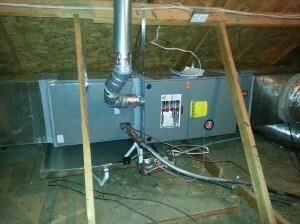 I hear popping sounds coming from my ductwork when the furnace starts and stops – what causes that? Usually it means you have more air flowing through your ductwork than it’s designed to handle. You can get plenty of loud and obnoxious noise, as well as ventilation and air quality problems. It’s definitely a problem that needs repair. What maintenance can I do on my furnace? 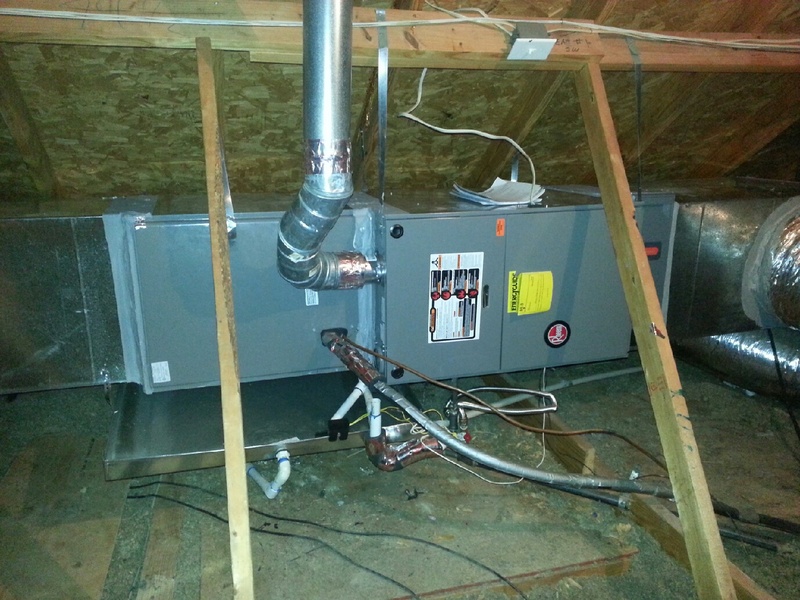 You can do some small things, and they do help you save some repair costs over the life of your furnace. First, turn off your furnace. Then remove the door to get access to the inside of the unit and remove the burner cover (if there is one). Turn the power switch on and watch the flames. They should be even in size and blue. If they’re yellow, that means you have dirty burners (but don’t clean them yourself!). You can also change the air filter about every 1-3 months. Check your owner’s manual for specific recommendations. Buying an expensive, high-efficiency filter may actually restrict more airflow, which strains the blower’s motor and cuts your furnace’s efficiency! Are gas or electric furnaces more efficient? Electric furnaces are reasonably efficient, but typically gas furnaces are even more efficient. Electric heaters cost about 1/3 – 1/2 as much as their gas counterparts, but they use more energy over the long run. You may want to explore a heat pump option if gas is unavailable in your home. Does gas or electric harm the environment more? If this is a concern for you, you should again go with gas. Much of our electric energy is produced by highly inefficient coal power plants, which have an efficiency of about 30% (according to the EPA). Producing natural gas does release greenhouse gases and other pollutants into our atmosphere. But, it burns so much cleaner than coal that it causes much less overall damage to the environment. Need a Furnace Repair? Dallas, TX Homeowners Like You Call on Efficient Home Solutions! To get your home warm and comfortable again with absolutely zero hassle, contact Efficient Home Solutions online, call us at 972.235.2600, or schedule your service today using the form to the right! You do pay a diagnostic fee to identify the problem, but we waive that fee with a coupon if you hire us to do the work. Same-day and 24/7 service is available so you can get warm and comfortable now! Financing is also available if your budget is tight now.